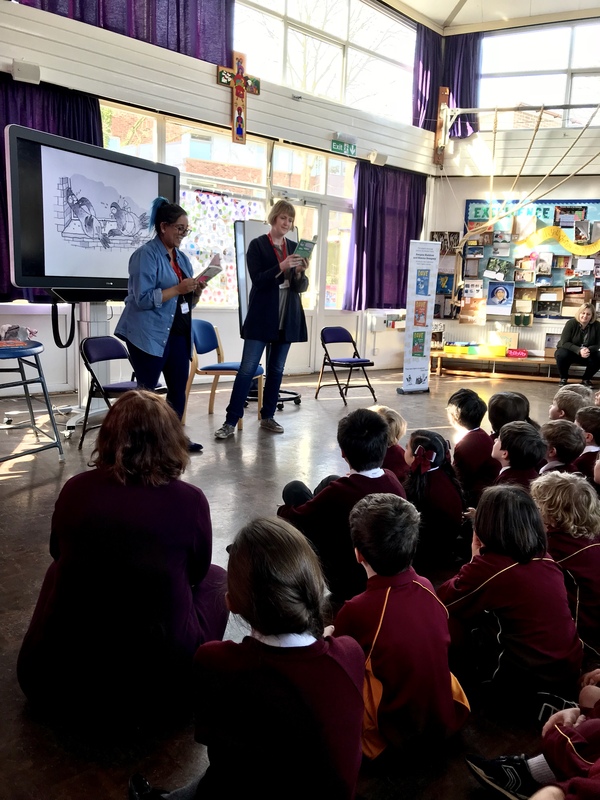 This week was Book Week at St Elizabeth’s Primary School and we were invited along to join in the celebrations. 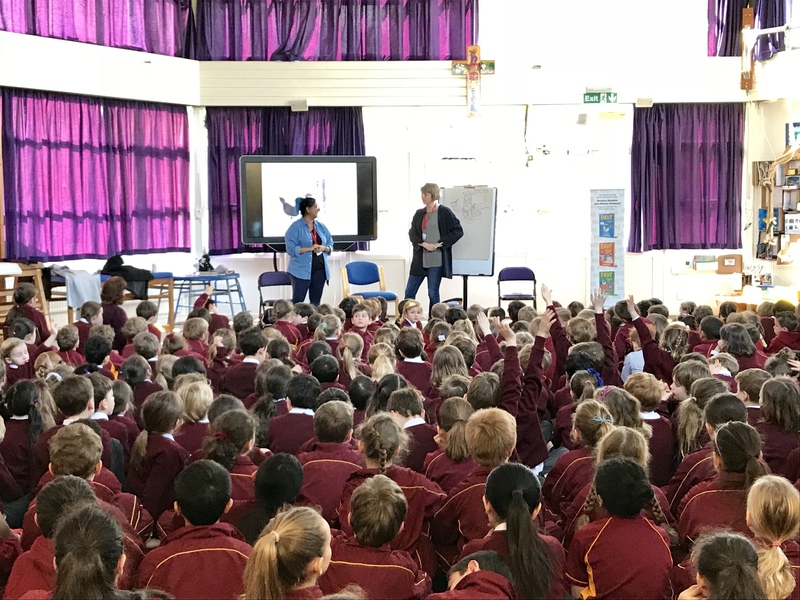 Sheena and I met with all three hundred of the school’s pupils at assembly where the children helped Sheena create a pigeon worthy of the St Elizabeth’s school badge. We then went on to create villains and stories with Years 2, 3 and 4. Dave and Skipper found themselves at a creepy haunted house that belonged to an evil pigeon-eating villain and they had to escape with the help of a robot stuck in a box in the haunted attic. 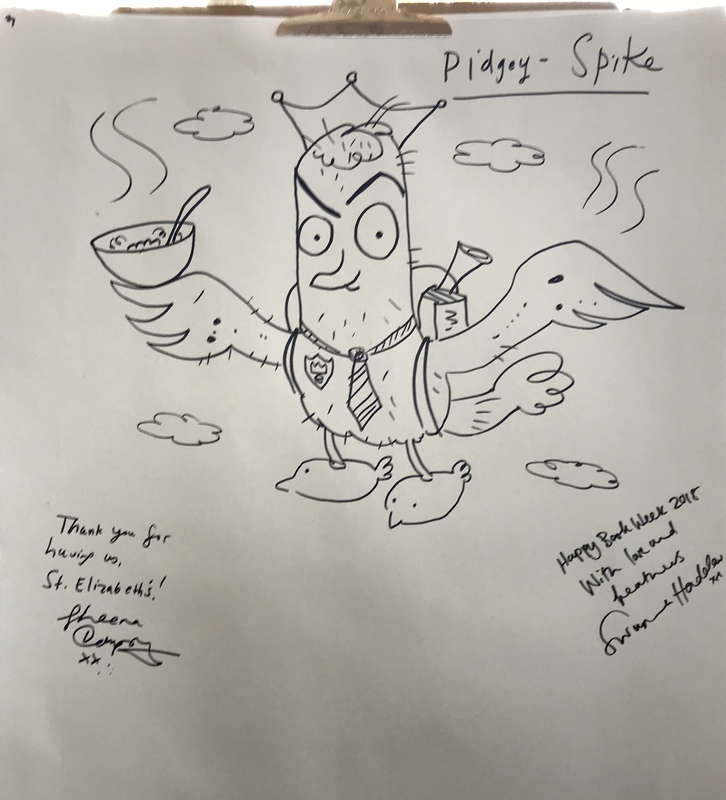 The hopeless pigeons also found themselves stuck in a rocket in space, where they used their electricity know-how, along with the help of a friendly alien, to get themselves back to Earth. 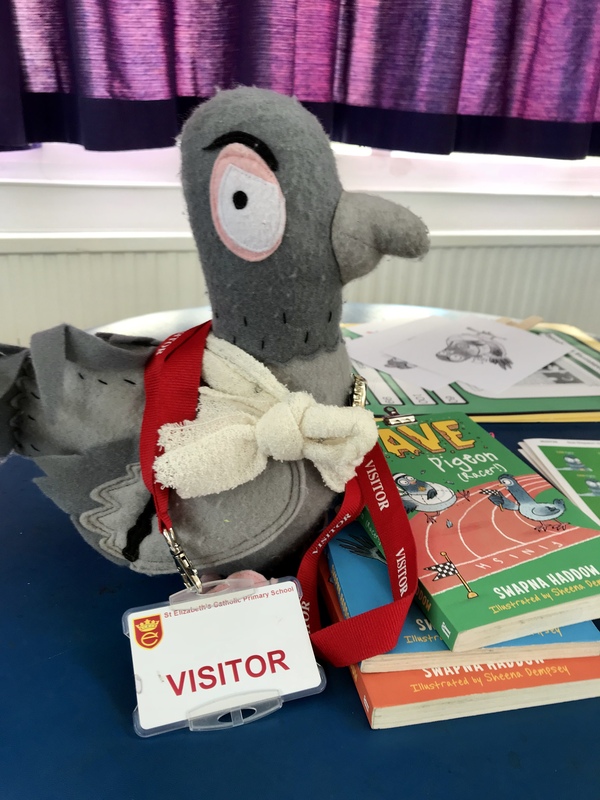 We had such a pigeontastic time with the staff and pupils of St Elizabeth’s. Thank you to Michelle and the Alligator’s Mouth bookshop for all your support and organisation.